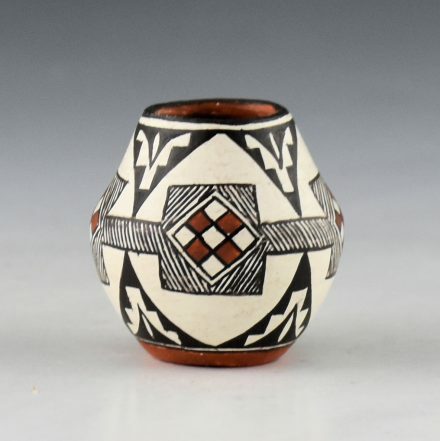 Thomas Natseway is one of the most renown miniaturists in Pueblo pottery. 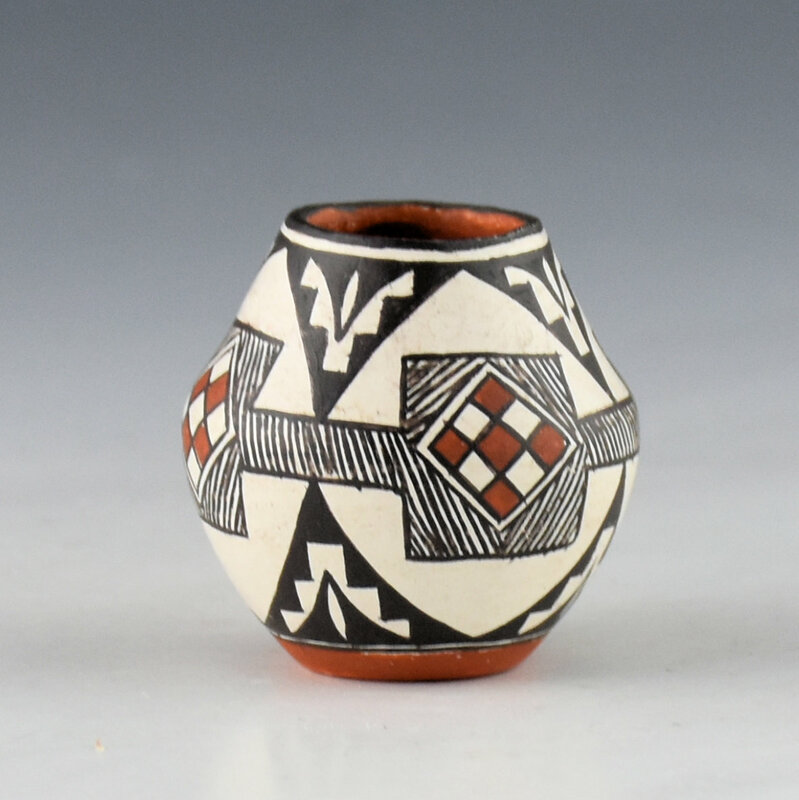 Rarely does he make a piece which is over 1″ tall or wide! 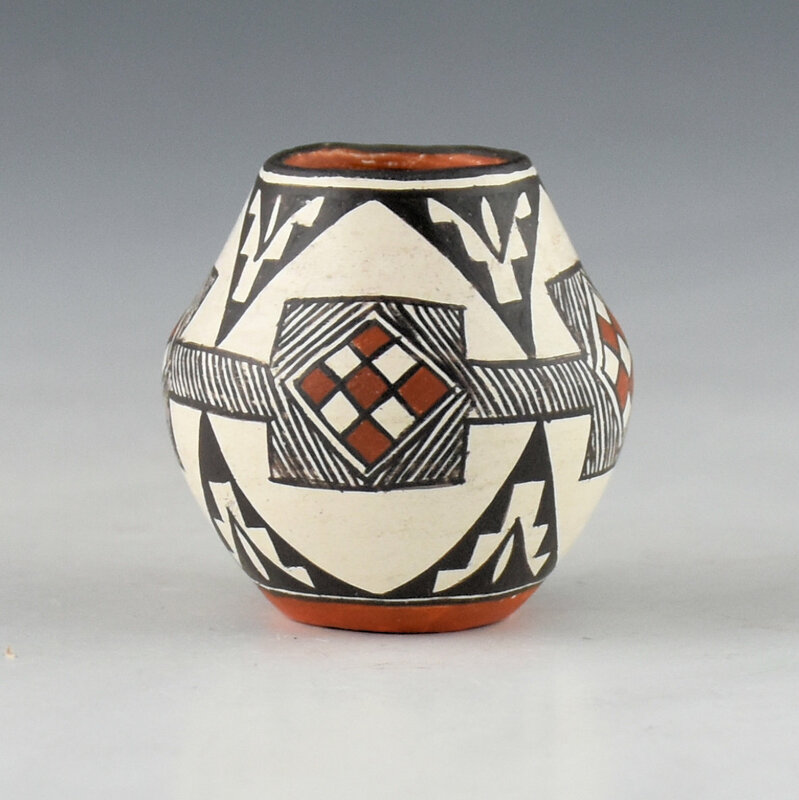 This is an early piece of his pottery from 1981. 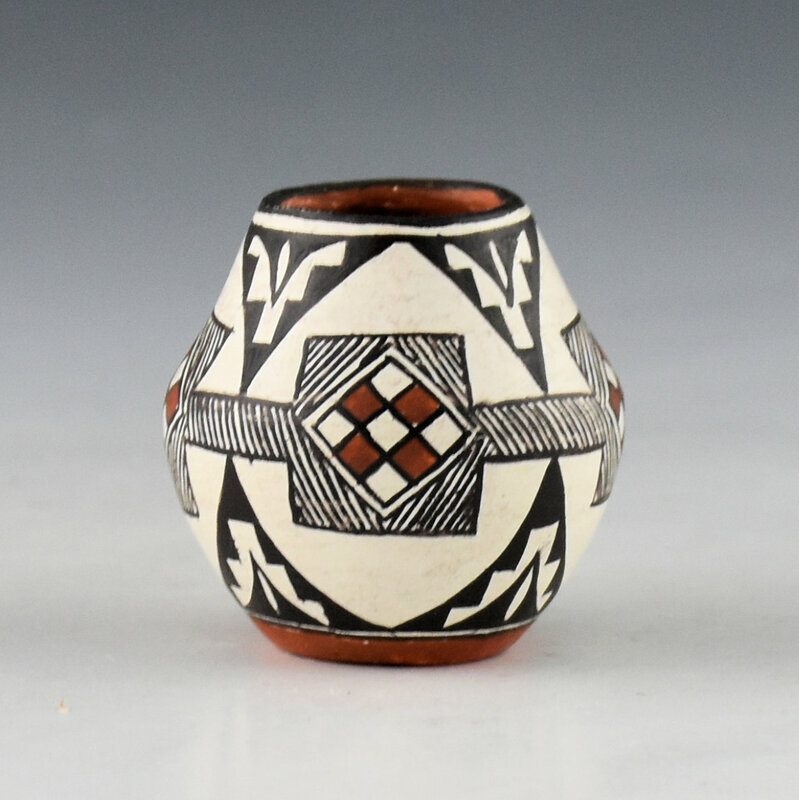 It is painted with a classic Laguna Pueblo design with the checkerboard and fine-line patterns. There are additional rain clouds around the rim and the base. 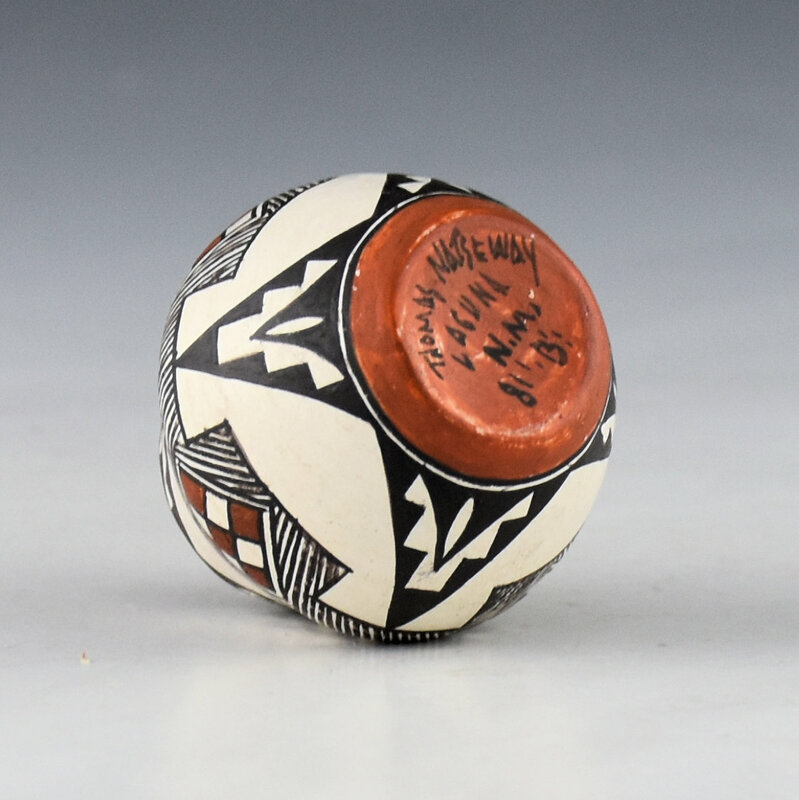 The jar is signed on the bottom in the clay. It is in very good condition with no chips, cracks, restoration or repair.